in the United States and Canada is Unfair and Biased Against Iraqi Christians. Why are the Iraqi Elections Vital to Assyrians? I wish I had a penny every time someone bursts into laughter when I mention Nashville, Tennessee as the location of choice for the January 30th Out-of-Country Iraqi Elections. The last time I checked my PC's electronic maps, Nashville was located thousands of miles away from the nearest concentrated center of the eligible Iraqi voters - unless you consider the Kurds in the U.S. as the only eligible voters. This travesty does not end here. Of the four locations initially chosen in the U.S., three are places with the highest number of Kurdish refugees: Washington D.C., Los Angeles, and yes, Nashville, Tennessee. It was not until very aggressive campaigning by the Assyrian groups in Chicago that the city with the largest number of eligible Assyrian-Iraqi voters was added recently. The first question that comes to my mind: Who gave the demographic data on the Iraqi communities in the U.S. to the Out-of-Country Voting Program directors? They were certainly not Christian Iraqis, nor from the West Coast or even Chicago. It would be hard to miss a hundred thousand Assyrians in the windy city or the 75,000 or more Assyrians and Chaldeans inhabiting the shores of California and the sun-drenched valleys in Arizona. Some 80 percent of all Iraqi expatriates in the United States are Christian Assyrians, Chaldeans, and Syriacs. The Independent Electoral Commission of Iraq is clearly accommodating the less visible Muslim communities of Arab and Kurdish residents in Washington D.C., Los Angeles, and Nashville. So what about the 75,000 or more Assyrians, Chaldeans, and Syriacs in San Diego, Modesto, and Phoenix? Are they all expected to travel as far as Los Angeles - twice - to register and vote in the first democratic elections in Iraq? 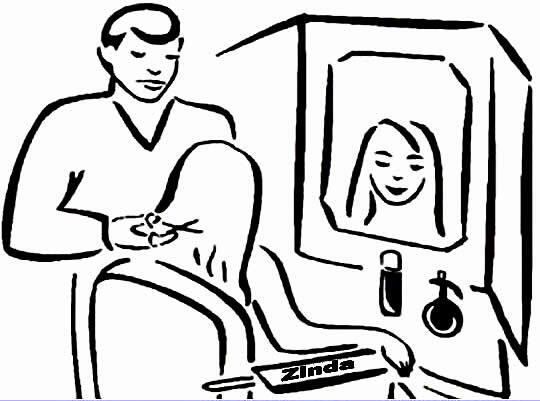 Both Zinda Magazine and every one of our readers in California and Arizona should contact their local Congressional representatives and demand the opening of at least three new offices for registration and voting in San Diego, Modesto, and Phoenix. The OCV Program Office has so far been irresponsibly unwilling to facilitate voting by Iraqi Christians. For example according to one official, San Diego, the city with the third-largest population of Iraqi immigrants after Detroit and Chicago was turned down for lack of time. With your help in California, Arizona, and whereever there are a few thousand Iraqi Christinas in North America we can add thousands of Assyrian and Chaldean Christian voices to the election process that will be also going on in Europe, the Middle East, including Syria - the newly added country. Contact your local civic organization and church and ask for immediate action to inform local government representatives. Registration takes place between January 17 and 23 and voting between January 28 and 30. Media coverage and the engagement of the local representatives are the best strategies to turn this appeal into additional voting places within the next few days. It is extremely important to push hard and to get the issue raised as high in the media as possible. Potentially there may be as many as a quarter million eligible voters in the United States. Of these some 200,000 are Assyrian and Chaldean Christians. Only a handful reside in Washington D.C. and only a few families in the southeastern U.S. If you're not outraged yet, work on it NOW! No Chaldean or Assyrian Christian should allow this Baathist-style discrimination by limiting access to our political rights be duplicated in the land of the free. If ChaldoAssyrians in Iraq are willing to dodge the bullets on 30 January to share the greatest political achievement of their homeland, it would be our duty to follow suit and demand fair elections where bullets are being replaced by bureaucratic non-sense. Pick up the phone and call your local official, community group, or church! Write a letter to your city's newspaper! Most importantly, don't let your voice be silenced in America - in the same way it was hushed in your own homeland for so long. Please do it today! (ZNDA: Qamishli) The Iraqi election next month may be evoking skepticism in much of the world, but here in northeastern Syria, home to concentrations of several ethnic minorities, it is evoking a kind of earnest hope. "I believe democracy in Iraq must succeed," Vahan Kirakos, a Syrian of Armenian ethnicity, said recently. "Iraq is like the stone thrown into the pool." Though Syria's Constitution grants equal opportunity to all ethnic and religious groups in this very diverse country, minority activists say their rights are far from equal. They may not form legal political parties or publish newspapers in minority languages. More than 150,000 members of Syria's largest minority, the Kurds, are denied citizenship. Minority issues remain one of the infamous "red lines," the litany of forbidden topics that Syrians have long avoided mentioning in public. But in the year and a half since Saddam Hussein was removed from power in Iraq, that has begun to change, with minority activists beginning to speak openly of their hopes that a ripple effect from next door may bring changes at home. And here in Syria's far northeastern province of Hasakah, which borders Turkey and Iraq, there are signs of a new restlessness. In March, more than 3,000 Kurds in Qamishli, a city in Hasakah Province on the Turkish border, took part in antigovernment protests, which led to clashes with Syrian security forces and more than 25 deaths. In late October, more than 2,000 Assyrian Christians in the provincial capital, Hasakah City, held a demonstration calling for equal treatment by the local police. The demonstration, which Hasakah residents say was the first time Assyrians in Syria held a public protest, followed an episode in which two Christians were killed by Muslims who called them "Bush supporters," and "Christian dogs." Nimrod Sulayman, an ex-official of Syria's Communist Party, says minorities "feel greater freedom to express ourselves" since the Iraq war. Nimrod Sulayman, a former member of the Syrian Communist Party's central committee, said Hasakah's proximity to Iraq and demographic diversity meant that residents of the province were watching events in Iraq and taking inspiration from the freedoms being introduced there. "This Assyrian protest in Hasakah was caused by a personal dispute, but the way the people wanted their problem solved was a result of the Iraqi impact," Mr. Sulayman said. "They see that demonstrating is a civilized way to express a position." "Since the war in Iraq, this complex of fear has been broken, and we feel greater freedom to express ourselves," he added. Mr. Sulayman noted that members of minorities in Hasakah had also been energized by a sense of brotherhood with their counterparts in Iraq. "For example, when Massoud Barzani announced that Kurdish would be officially recognized as one of the main languages in Iraq, the Kurds in Hasakah were out in the streets celebrating, expressing their joy," Mr. Sulayman said, referring to the leader of the Kurdistan Democratic Party in Iraq. 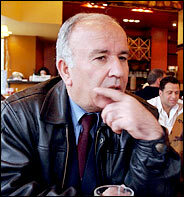 Taher Sfog, the secretary general of Syria's illegal Kurdish Democratic National Party, suggested that in some sense, Iraq and Syria were mirror images of each other, as they shared a roughly similar ethnic composition and a political heritage of Baathism, the secular Arab nationalist policy of Mr. Hussein and Bashar Assad, the Syrian president. "Kurds in Syria feel relieved when we see Kurds in Iraq getting their rights and holding news conferences," Mr. Sfog said in his home in Qamishli. "Democracy there will lead to a push in Syria, too." In fact, the Hussein government had long been estranged from Syria's. Before the American invasion of Iraq, many Iraqi politicians who opposed Mr. Hussein made their homes in Damascus. Basil Dahdouh, a member of the illegal Syrian Nationalist Social Party who represents Damascus in Syria's Parliament as an independent, said renewed contact with Iraq, as well as the chance to observe the changes taking place there, was leading many Syrians to actively question their own political ideals. "The Iraq question has raised the idea of what kind of state we want," he said. Emmanuel Khoshaba, a spokesman for the Assyrian Democratic Movement, a political party representing Iraq's Assyrian Christian minority, said Syrian political life could not help but be influenced by Iraq. "In Syria, gradually it's becoming safer to talk about minority rights and human rights," he said. But he cautioned against seeing a single "Iraq effect" on the very different aspirations of Syria's minorities . "The interaction between minorities in Iraq and its neighboring countries really depends on how particular minorities view their own situation," Mr. Khoshaba said. "For example the Assyrians in Syria are seeking a national solution within a democratic framework, while some of the Kurds seek separation." Despite their sometimes startling optimism about an Iraqi democracy's longer-term prospects, the Syrian minority leaders became more sober when discussing the violence in Iraq. Not only is it painful to see Iraq convulsed with strife, they said, but instability in Iraq is causing problems closer to home. Bachir Isaac Saadi, the chairman of the political bureau of the Assyrian Democratic Organization, said that throughout Syria, anger over the American presence in Iraq had set off a sharp rise in Islamist sentiment, which was creating difficulties for Syria's Christian minority. "Christians in Syria aren't afraid of the government any longer," Mr. Saadi said. "They're afraid of their neighbors." Though the increase in Islamist feeling is troubling, minority activists say, fear of the government and of publicly discussing minority rights has eased to a degree which would have been unthinkable only a few years ago. Mr. Kirakos, the Armenian activist, has even begun a bid for Syria's presidency, an astoundingly brazen gesture in a country where the Assad family has ruled unchallenged for more than 30 years. The Christian Mr. Kirakos's presidential run - which he announced in September on www.elaph.com, a pro-democracy Web site - is illegal, as Syria's Constitution stipulates that the president must be a Muslim. But though he lost his engineering job as a result of his activism and his family has received uncomfortable phone calls from the secret police, Mr. Kirakos is unfazed. "I carry a Syrian citizenship which is not equal to Ahmed's citizenship," he said, using the common Muslim name as shorthand for Syria's Sunni majority. "It is the Syrian Constitution that must change. We should be writing a constitution that guarantees equal rights for everyone." independent high commission of elections in Iraq and as such it can participate in the up coming elections with an Assyrian identity which is the pride of all civilizations. The Assyrian National Assembly frankly declares that with the good will and co-operation of the Assyrian nation it shall have an effective role in asking for the rights of the Assyrian nation on its land. O Assyrians there are no excuses nor maneuvers that can cause you to refrain from voting in these elections to assure your rights in your homeland just like all the other Iraqi factions, the time of ethnic persecution based upon identity has gone, and it's time to remove the masks of hypocrisy, timidity and interests off those who pretended to be Assyrian but didn't honestly raise its banner demanding its rights when the opportunity became available, and couldn't advance even one step towards the re-affirmation of our Assyrian nation's rights. Thus a fine group of your Assyrian brethren gathered to bring together the fragments and remedy the wound, responding to the national need of taking your logical demands and putting them for discussion with all the Iraqi brothers of all factions, formations and affiliations but especially to help the oppressed in their own home. O Assyrians every where for the historical truth we say that those who have answered the call are a group of the well educated in the Assyrian nation amongst them are the engineer, the professor, the lawyer, and most of them have two university degrees with an excellent reputation, while others are still pursuing further education, this is what we can mention at present in a general way. We call upon you from the platform of freedom, democracy and conscience to prove your rights as an Assyrian nation in the homeland by voting for the Assyrian National Assembly for this is the best opportunity at this period to affirm the Assyrian identity and recognize it in the permanent Iraqi constitution. (ZNDA: Baghdad) You might think he would be starting to despair by now. But the head of Iraq's tourism board, Ahmed al-Jabouri, is a confident man. He insists he has a "happy heart" when he thinks about the tourism potential of a country that, while one of the most dangerous places in world, prides itself on being the cradle of civilisation. Al-Malwiyya in Samarra was a top tourist spot before the war. No matter that he is not aware of a single foreign tourist visiting Iraq in 2004. He himself advises them to stay away right now. "It's very important for me, for their own safety that they don't come," he says. Still, his 2,474 staff are keeping themselves busy. The tourism board says it has 14 centres open around the country from Basra in the south, to Saddam Hussein's hometown Tikrit, to Mosul - where insurgents recently took over the city's police stations. There's even an office in Ramadi, despite regular fighting between American troops and rebels. "My staff check on hotels and restaurants and award licenses," says Mr Jabouri, a former army officer and dissident who fled from Baghdad to Kurdistan under Saddam Hussein. So will 2005 be any better than 2004? Again, Mr Jabouri is optimistic. "We have a plan to build many things," he says. "We have many projects." Among them, he says, is a plan to develop an area of Baghdad along the river Tigris into a "new tourism city". The district, Wedding Island, is said to have been a popular night-time spot for Saddam Hussein's son, Uday, and it is where he shot dead his father's bodyguard Kamel Hanna in 1989. Mr Jabouri says Iraqi companies are already working on the new project. "We have many nice places... mountains and marshes and historical sites." 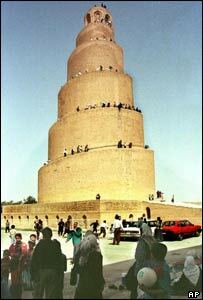 The ancient ruins of Babylon - another of Iraq's treasured sites. 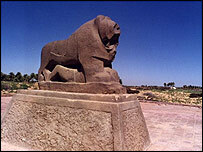 Right now, however, the ancient ruins of Babylon, south of Baghdad, are part of a military base. So too are the most impressive remains of the Sumerian people, who invented writing, before the Pharaohs came to power. The Ziggarat of Ur, a vast temple complex near the modern town of Nasiriya, lies deep within a fortified camp. And Lake Habbaniya, which used to be a popular picnic site for Iraqis, is now a refugee camp for people displaced from nearby Fallujah. Ahmad Jabouri acknowledges that at the moment a visit could very well be a "one way trip" for any Westerner. "It is very dangerous for our friends to come now," he says. "I advise them to be patient and wait for a short time." And he acknowledges he has no idea when Iraq will be able to give tourists the hospitable welcome he would like to provide. "I cannot give you a promise," he says, "when things will be safe." (ZNDA: Beirut) Minority Christian groups are hoping for a new electoral law that leaves them less dependent in the Parliamentary elections on the country's major sects, as several Christian minorities - the Copts, Assyrians, Syriacs and others - are now represented collectively by a single deputy in Parliament. The May elections may be an opportunity to exert greater control over their representation, as currently minority delegates compete against one another on a variety of electoral lists chosen by larger sects. Habib Ifram, the president of the Syriac league, is a leading advocate of reform and hopes to win a seat in the May elections. "In the Muslim dominated electoral districts of Beirut, we have no control over who will represent the minorities, as different candidates run on competing lists," Ifram said in an interview with The Daily Star. Since 1992 Ifram has run for Parliament three times with former Beirut MP Tamam Salam without success. He plans to run again in the May elections. Under the present law, smaller Christian minorities have to maintain an equal distance from the loyalists and the opposition, he said. "We believe in civil peace and tranquility without which we could never realize our interests to the fullest," he said. "However, we follow and observe all political trends and discussions concerning the new electoral law without actually holding one view against the other," Ifram said. In general, small minorities prefer a secular electoral law that does not apportion representation only by sect. "However," he added, "the small minorities could not exert any pressure on bigger communities even if they wished to do so. Our ultimate quest is preserving law and order because we could not protect our own interests during a civil unrest of any scale as other communities could." Traditionally, the Syriac community allied with the dominant Sunni leadership in Beirut. "However, we could not find common ground for agreement with (former Prime Minister) Rafik Hariri," he said. Hariri, according to Ifram, searched only for "employees orbiting around his realm" rather than working in partnership. "I have been negotiating the terms of alliance with Hariri's movement since 1992 but disagreed on all points," he said, adding, "we disagreed despite the fact that our special interests, as a small Beiruti minority, are very limited and do not clash with other communities' interests." Ifram said he believes politicians should pay more attention to what he stands for in his capacity as the president of the Syriac Universal Alliance, the president of the Syriac League and the Secretary General of the Union of Christian Leagues in Lebanon. "Hariri and other politicians do not take into consideration our community's widespread relations locally, regionally and internationally," he said. During his visit to Beirut, interim Iraqi Prime Minister Iyad Allawi met with Ifram and discussed issues concerning the Syriac community in Iraq. "I was the only figure meeting with Allawi outside his scheduled official meetings," Ifram said. "He understands the importance of the Christian minorities on the world scene better than most Lebanese officials do." In addition to under-representation in parliament, the Syriac minority as well as other small Christian communities do not occupy any important position in state institutions, Ifram said. In Norway on the other hand, a member of the Syriac community who left Lebanon at the age of 13 became the country's minister of education. "None of his compatriots in his country of origin had ever participated in a ministerial cabinet," he said, adding, "Under the present sectarian system, it is less likely to ever get hold of any high ranking position." Concerning the current political tension, Ifram fears the rift in Lebanese society between opposition and loyalist forces may lead to damaging consequences for smaller minorities. He said that the civil war had devastating consequences for most minorities. They lost their businesses, homes, schools, churches and other community-related establishments." "The Syriac community would encourage a thoughtful dialogue among all components of the Lebanese society to reach the best possible way to guarantee the peaceful coexistence," he added. "Widening the present political rift would not benefit any party and might tarnish the image of Lebanon that deserves, instead, our utmost loyalty, sincerity and conviction," Ifram said. (ZNDA: Ottawa) With less than 3 weeks left to the Iraqi elections, it has not been confirmed yet whether Iraqi citizens will vote from Canada. 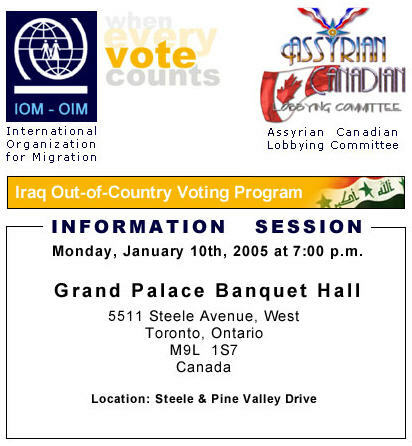 After a meeting with the International Organization for Migration (IOM), the Assyrian Canadian Lobbying Committee (ACLC) and the IOM will be holding an information session on Monday, January 10th, in Toronto where registration and voting methodology and a question period will be on the agenda. The IMO has been authorised by the Memorandum of Understanding (MoU) to conduct an Out-of-Country Voting (OCV) Program for the January 30th elections in Iraq. According to the IOM, there will be three polling stations in the Greater Toronto Area (Mississauga, Scarborough, and North York), one in Ottawa, and one in Calgary, and there is a possibility for one in London due to its proximity to Hamilton and Windsor. Thousands -- perhaps tens of thousands -- of Iraqi-Americans will head to the polls in Sterling Heights this month to cast votes in the historic elections that will be held in their homeland. Under the Out-of-Country Voting program, Iraqi citizens living in the United States will be allowed to vote, with polling stations established in five metropolitan areas. In the Detroit area, voting sites will be set up in Sterling Heights, Southfield and Dearborn. Iraqis from across Michigan and much of the Midwest are expected to cast ballots at those three locations over a 3-day period, from Jan 28 through Jan. 30, the day the first vote will be held in Iraq to elect a National Assembly. "This is the first time in my life to experience, as an Iraqi, the chance to vote," said Nick Najjar, 44, of Sterling Heights. "I left Iraq in 1978 and I have voted as an American since 1988. But the Iraqis here, we left not because we wanted to leave. We left because of (former president) Saddam (Hussein). So, we want to express ourselves, our feelings, about the future of Iraq." With voting slated in 11 countries outside of Iraq, it's unclear what the eligibility requirements will be for expatriate Iraqis to vote. Initially it appeared that the Iraqi interim government would allow anyone who was born in Iraq or whose parents were born there to cast a ballot. The final determination may limit voting to those born in Iraq. Voters must be 18 years old, born before Dec. 31, 1986. Najjar, a member of the Sterling Heights Ethnic Committee, estimates that the number of Iraqis living in Sterling Heights ranges from 12,000 to 18,000. 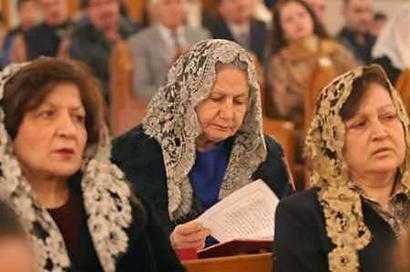 It is believed that more than 95 percent are Chaldeans -- Christian Iraqis. Not all will be eligible to vote, but Najjar predicts about half will cast ballots. It's impossible to project how many from outside the area will vote in Sterling Heights. The United State is one of 11 countries taking part in the voting program. Detroit, Chicago, Los Angeles, Nashville, Tenn., and Washington, D.C., have been selected for polling sites by the International Organization for Migration. The IOM, working with Independent Electoral Commission of Iraq, is organizing voting in the United States, Canada, Australia and several counties in Europe and the Middle East. The Iraqi government has budgeted $92 million to pay for this worldwide voting process. The Geneva-based IOM works with United Nations agencies to organize voting across the globe. It projects that 1 million Iraqis living outside their country will be eligible to vote. Nafa Khalaf, a board member for the Arab-American Institute's Detroit chapter, said he has already heard stories about Iraqis planning to travel 10 hours to vote in Los Angeles. "This means a lot to many Iraqi-Americans," said Khalaf, 50, of Troy, who came to America in 1986 and has voted in four elections here. As for the election in his troubled homeland, he said: "To me, even if we achieve 1 percent of the (expected) result, people will feel hope. That's step one. Stability in Iraq can only be achieved after a widespread election." Martin Manna of the Chaldean American Chamber of Commerce, based in Farmington Hills, said the Chaldean community is split over the violence-plagued situation in Iraq as the election approaches. Many still cherish the liberation of their homeland from the grip of Saddam, but others see a country in chaos where no one is safe. Most hope that the elections will put the war-torn nation on a new path. As the vote approaches, Manna said, Chaldean-Americans are determined to give Iraqi Christians a stronger voice at the ballot box. Many Chaldeans express irritation that the worldwide media portrays Iraq as a land comprised of three groups -- Shiites, Sunnis and Kurds. In addition, Chaldeans scoff at the notion that Christians -- Chaldeans and Assyrians -- represent 1 percent or less of Iraq's population. Manna said 5 percent is a more accurate figure. "It's almost like we've been stripped of our identification," said Manna, 31. "A large number of us expatriates are here in the U.S. and it's important to us, since we're such a small part of the population over there, to increase their voice." Manna hopes to vote in the election, though he was born in the United States. If he's denied, his mother, father, and five brothers and sisters -- all born in Iraq -- will go to the polls. Documents that prove birthplace will be the key to securing a voter registration card. An IOM representative has held several meetings with prominent Detroit area members of the Iraqi community to launch the voting program, including one session last week in Sterling Heights. The polling place for Sterling Heights has not been chosen yet -- a large banquet hall is a possibility -- but training of 450 election workers needed for the Detroit area will begin soon at a Dearborn hotel. Under the hastily arranged election process, voter registration will be held Jan. 17-23 for the approximately 150,000 Iraqis living in Michigan. Estimates of the number eligible to vote range from 80,000 to 120,000. (ZNDA: Stockholm) Jose Morais, who coached Portugal's second division Santa Clara, was named the new coach for Sweden's Assyriska. Mr. Morais has signed a two-year contract to coach the team, which was elevated to Sweden's top league, Allsvenskan, in November. Founded in 1974 by the Assyrian immigrants in the port city of Sodertalje, Assyriska is the first Assyrian club to play in a European country's top league. (ZNDA: Cairo) A Muslim youth was killed in clashes between Christians and Muslims in southern Egypt prompted by a dispute over the building of a church in a predominantly Muslim town late last month. Meanwhile, Attorney General Maher Abdel Wahed ordered the release of 10 of 21 Christians being held over the injuring of at least 60 policemen in clashes earlier in December. The deadly violence began after young Muslims in a town in Minya province, 250 kilometers (156 miles) south of Cairo, suspected that Christian villagers wanted to demolish a home in the area and build a church in its place. The Muslims claimed the Christians were backtracking on a pledge last year not to proceed with the project and continue to use a church nearly two kilometers away. They argued that the Christians did not need a church in the town, as there were only 500 of them compared to 20,000 Muslims. Pope Shenuda III, Patriarch of the Coptic Church returned from self-exile after release of Christians from prison in Egypt. Police said they made several arrests after the two sides went at each other with rocks and sticks. Gunfire was also heard. Under a 19th century law introduced by Egypt's then Ottoman rulers, Christians can build churches only under certain conditions. These include their being a majority in the area and there being no mosque nearby. Christians complained that they had to go through layers of bureaucracy in order to obtain a permit to build a church, and that by the time they got one, demographic and other conditions would have changed. In Cairo, meanwhile, the release of detainees brings to 23 the number of those freed so far after 13 Christians, nearly all of them students and minors, were sent home on December 21. A number of policemen were hurt on December 8 when around 1,000 Christians, staging a sit-in at the compound of the main Coptic cathedral in Cairo, threw rocks at them. The demonstrators were protesting at the disappearance of a priest's wife north of Cairo. They claimed the woman was abducted by her Muslim boss and forced to convert to Islam, with the complicity of the state security services. Nearly 400 Egyptian Christians also demonstrated on December 5 at the cathedral, calling on President Hosni Mubarak to intervene. 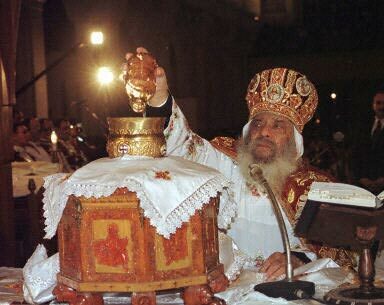 The head of Egypt's Coptic Church, Pope Shenuda III, later holed himself up in a desert monastery to protest the arrest, but returned after the release of the first batch of Christians. The Iraqi elections set to decide the National Assembly (parliament) and Governorate Councils have monumental implications on the Assyrians (also known as Chaldeans and Suryan, or Syriacs). Whereas the elections is primarily to elect a interim parliament that will write the Iraqi permanent constitution by December 2005, which in tern will put the foundation for the permanent elections afterwards, these elections will define the Assyrians' future in Iraq. The voting results will be the benchmark through which Iraq will build its arguments in connection with its minorities. Simple observation reveals clearly that Assyrians in the Diaspora, and especially those in the U.S.A., are the least among Iraqi groups concerned with this important event. Whereas the elections require foremost the mobilization of people, it is clear that such has not been the case with four weeks to the elections. Some efforts are being made; however, it has been the efforts of few individuals and certain organizations performed on isolated basis, which will have minimal impact. It is the same old puppy way of dealing with every big issue this nation has faced throughout its modern political history. This has led clearly to the distribution of polling centers (mobile units) in the United States. Why is it that the polling centers (mobile units) for the Iraqi expatriates are set up in Washington, D.C.; Los Angeles, California; Nashville, Tennessee; Detroit, Michigan; and luckily Chicago, Illinois, which was only added later? Who influenced the select of these cities? It was the Kurds, again, who continue to prove that they deserve everything coming because they are putting the Kurdish collective interest over their private individual or organization interest. Some figures put the Kurdish population in the United States around 50,000. The Kurds live predominantly in Washington D.C., Nashville, and Los Angeles. It should not be surprising then that three of the five voting centers (mobile units) were set in these Kurdish populated cities? Meanwhile, the 300,000 Assyrians have failed to have polling centers (mobile units) in Modesto/Turlock (20,000), San Francisco/San Jose Greater Bay Area (8,000), in San Diego (10,000) in Phoenix, Arizona (2,000), or in Las Vegas, Nevada where some 200 families reside. What implication does this poorly planned selection process have on Assyrians? It is safe to say that the majority of Assyrians will not be able to travel 350 to 400 miles from San Francisco/ San Jose Greater Bay Area, from Modesto/Turlock region, or from Phoenix area to Los Angeles to vote. However, it might be somehow easier for those in San Diego to drive two hours to Los Angeles in order to vote. Where are the Assyrian American National Federation and the other Assyrian groups in the United States? What are they doing to rectify this injustice? Where is the Assyrian media and in particular AssyriaSat? Since it has been estimated that 30,000 to 50,000 votes is the threshold for every seat in Iraqi parliament, Assyrians in the United States have a great opportunity to decide the fate of two or three seats. We know that there are some 250,000 to 300,000 Assyrians (also known as Chaldeans and Suryan, or Syriacs) in the United States. Approximately 65 - 70% of these 250,000 to 300,000 are themselves, or their ancestors, from Iraq. If we assume that half of these Iraqi Assyrians are eligible to vote, we can easily conclude that the Assyrians of the United States could easily decide at least the fate of two seats in Iraqi parliament. I see no better gift to present to our people in Iraq than giving them two seats on behalf of their brethrens in the United States. Furthermore, the U.S. Government would realize the magnitude of the presence of Christians in the U.S. and their real power. While the Census 2000 and certain Arab and, or, Kurdish Moslem groups have succeeded to diminish the presence of the Assyrian Christians in the United States, the voting pattern should clear many of such misconceptions. Ideally, the vote of the Assyrian Christians, Arabs, and Kurds in the U.S. should reflect the true presence of these Iraqi groups. If all the Assyrian Christians in the United States (voting for Assyrian, Chaldean and ChaldoAssyrian slates) were given equal opportunity and the means to vote in these elections, they would clearly stand out next to the 20,000 or 30,000 total Arab and Kurds voters, who will vote for their own respective groups. How many times have the Assyrians looked back on events and wondered what if? How many times have Assyrians wished a second chance to do things right? 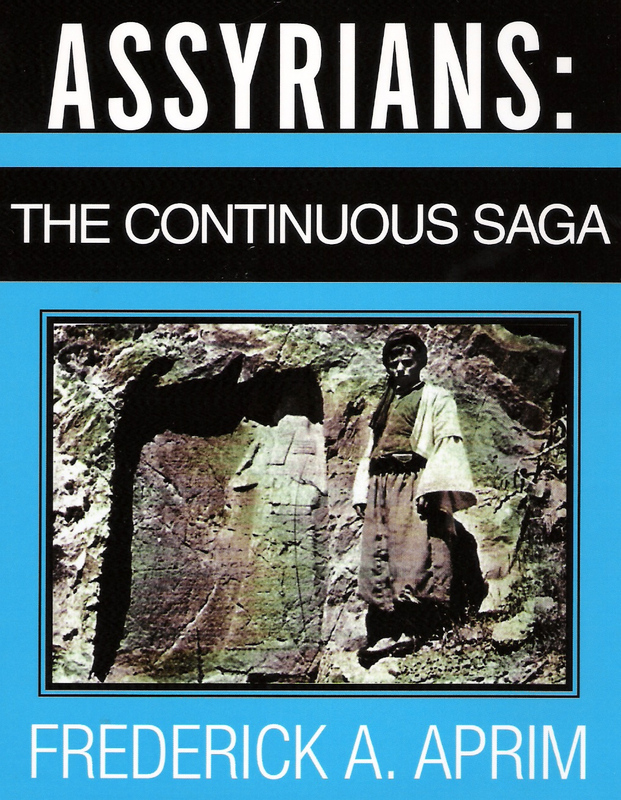 Some assert that Assyrians have not progressed enough because they have refused to learn repeatedly. This carelessness, lack of organization and interest, selfishness, among other reasons in respect to the Iraqi elections will make us lose yet another golden opportunity. 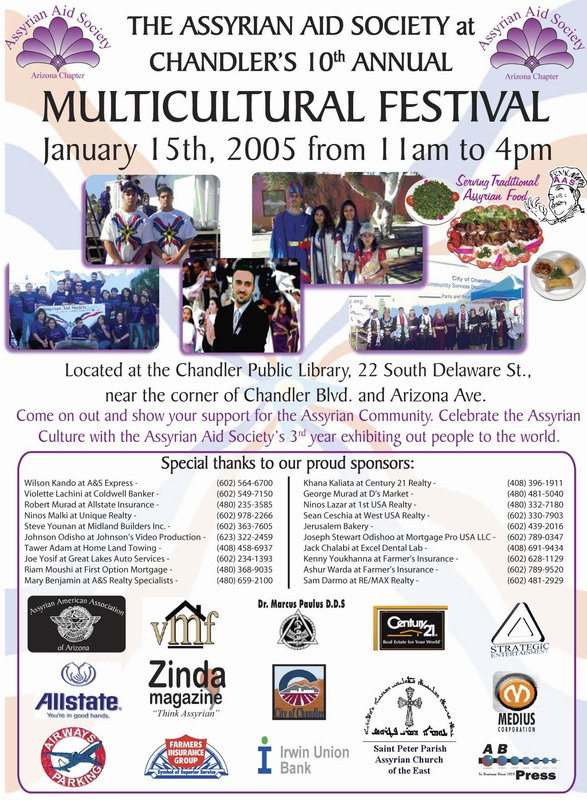 It would be an understatement if we stated that the January 30, 2005 elections might be one of those most important in modern Assyrian history. Assyrians (also known as Chaldeans and Suryan or Syriacs) can hit many birds with one stone. First, they will empower those in Iraq. Second, they will dictate through their voting power that they be considered as a major player in Iraqi affairs. Lastly but not least, they will put an end to the myth about the presence of Iraqi Arab and Kurdish groups in the United States compared to that of the Assyrian Christians. Are the Assyrians going to put their differences aside? Are they going to get organized and do what it takes in order to open more mobile voting units in areas heavily populated by Assyrians? Are they going to register in the next couple of weeks to be eligible to vote? Finally, are they going to vote on January 30 or are they going to show that they do not give a damn about Iraqi affairs and their brethrens in Iraq as certain Arab and Kurdish writers claim. Thank you Zinda so much and I commend you for the detailed info that you provided in your last issue with regards to the coming elections in Iraq and as usual, you were above all expectations [See 24 December 2004 issue] ! Part 1: I think that it would be more indicative and helpful should you add the numbers of candidates to each list (or group) in your last diagram to better summarize the whole election picture. You suggested in your thorough analysis taking 10 seats from Kurds and adding 5 of them to Assyrians and the other 5 to others, which is objective legitimate demand; however, I am not sure if we have enough voters for winning the 10 seats in the first place not mentioning these additional 5 seats. My concerns about our chances of winning all the 10 seats allocated for the Christians as a whole are mainly related to the management of the process. The total number of our candidates is around 120 and the total number of voters inside and outside Iraq is around 500,000 and the minimum threshold 30,000 (per your analysis) to win one single seat. The critical issue here and the big question is that what if our votes are potentially dispersed among the 120 candidates so that only few (or may be none) of these candidates would be able get the threshold votes and consequently not getting even the 10 seats. There is another critical issue related to number of actual eligible voters who would cast their votes out of the 500,000 especially those living in Iraq due to security reasons and I would like to see Zinda and other media outlets elaborate more on this serious issue and educate our people on the high risks of loosing our seats due to internal mismanagement reasons. Many thanks for your email concerning the Iraq Out-of-Country Voting Program. We are planning on having registration and voting centers for the Iraq Out-of-Country Voting Program in the Washington, Detroit, Chicago, Los Angeles, and Nashville areas. To vote you must first register during the specified registration period (17-23 January 2005). You must take appropriate identification and proof of your eligibility. Voting will take place between 28-30 January 2005. The Iraqi expatriate communities will soon be informed about where, when and how they can register and vote through a variety of media and community sources. Please regularly visit the Iraq OCV website: www.iraqocv.org for up-to-date election information. We thank you for taking the time to write and please continue to visit www.iraqocv.org on a regular basis for the latest information on the IOM Iraq OCV Program. I would like to offer the following as a suggestion for the US Armed Forces in Iraq. Knowing that the Iraqi insurgents are getting desperate and they are escalating their activities in order to disrupt the upcoming election in Iraq, what if we (the US Armed Forces) impose/expand a "no-driving-zone" in some key areas in Iraq since it is the automobile that is transporting the insurgents, their bombing supplies and equipment. Further, maybe we should impose a three-day-no-driving at all on the Election Day, the day before and the day after. If we can impose this, it will diminish the insurgent's capacity to do damage to anyone or to disrupt the election. Granted, one would think that no driving at all for one to three days would seem very difficult but it would be the most effective way to demobilize the insurgents. The "no-fly-zone" in Northern Iraq diminished Saddam's capacity to control and strike his enemies. It is doable - before 9/11 no one could have imagined that one day the US would ground all flights in the US even for one hour yet we survived a four-day all flights grounded. It was necessary to ground all flights in the US immediately after 9/11 and it was done. No one even talks about it today. I believe that it is necessary for the US Armed forces in Iraq to declare/expand "no-driving-zone" wherever it is necessary in Iraq from now until the end of the election proceedings. It is necessary to declare Iraq entirely a "no-driving-period" for three days to help a more successful election - the good Iraqis would oblige because of a greater good potential. The bad Iraqis, the insurgents and their supporters are going to oppose these measures for the obvious reasons. As simple as this idea may seem, it may have escaped our tacticians who are looking for more complex strategies and tactics and forgotten to think "out-side-the-box" for simple solutions. I am hoping that the US Armed forces would adopt these new "no-driving-zones" and "no-driving-days" policies and save many lives. I would like to compare this suggestion to the classical example where many engineers could not figure out a way to let a truck go under a too low bridge until a young girl suggested that they deflate the tires of the truck make it low enough to clear the bridge. In 1921 Britain’s colonialism founded a state centred in Baghdad that continues to fail to this day and the reason for this failure is the decline in resolving the ethnic problem of the state by giving each ethnic group its deserved share and the talk impinging our ear drums about state nationalism is useless to the Assyrians of the land who have become exhausted from being told of their national duties at the times of crises in order to sacrifice their loved ones and their lives cheaply for a state that did not and does not recognise them at the times of peace. All those sacrifices the Christians and Assyrian Christians gave at the alter of state nationalism proved wrong when Christians remain to this day derided and marginalised and the current lunatic intifada of the yuppies of continuously targeting our people and our Churches leaves us in no option but to unilaterally go for our rights to be claimed by our own hands in order to defend and preserve our existence in the land we proudly own. Christians and Assyrian Christians are with the new change in our homeland because of their nature and the nature of their faith which is more inclined to liberty and dignity things never had a place during the previous regime. At the time of writing many Christians mostly Assyrians are picked and murdered after confessing their identity of being Christians and so far up to 10 Churches have been levelled by bombing with numerous failed bombings on others. Add to this the many thousands who have fled for their safety beyond the frontiers and the rest who remain living in fear even in our heartland of the Nineveh plain. Why do we keep murmuring state nationalism when the rest talk of Arab nationalism, or Kurdish nationalism or Turkish nationalism? Why these slogans of state nationalism are restricted to the too few of us who talk in the name of too many of us Assyrians? The solution given at the moment by those few and the ones who run the country is that the fleeing Christians can return and the bombed Churches can be built again but this is not a genuine solution because this is the fate of a nation and not a mere few individual cases and it is almost certain to recur in the future. In the last 100 years we have managed successfully to re-create the Assyrian Nation but this is short of our ultimate aim of re-creating the Assyrian State. The Kurds brag for having their slice of the ‘Silicon Valley’ in the state; while the southerners are opting for a valley of different sort, but the centre remain in a state of limbo preferring rather a valley of death. Where do we stand ourselves the Assyrians? Drumming state nationalism does not serve us because we have drummed it before and led us nowhere. Why state nationalism and not Assyrian nationalism? 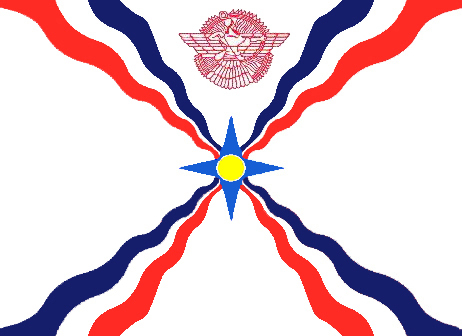 The rate of Assyrian Christians sacrificed in the 1980s’ war was the highest according to their proportion; the rate of Christians emigrated in the1990s is the highest according to their proportion; the rate of Christians and Churches targeted is the highest according to its proportion; the rate of Christians in neighbouring countries is the highest according to their proportion. Why we still keep chanting state nationalism? I am not advocating no state nationalism but saying that we must declare Assyrian nationalism first as the other components of the society are doing. Assyrian nationalism requires a nation and a state in the same way the other ethnic groups have been catch phrasing for decades. We must have the geographic existence. The ‘safe haven’ or the ‘administrative region’ is not the solution because the first requires the protection by others and the second does not fulfil our aspiration as we will continue to remain under somebody’s authority. There are provinces for the Kurds and the rest is divided between the south and centre. Why Assyrians do not have a single province? A province of our own means acknowledgement by the authority for our patriotic past and that we are on par with the rest of the population not under par. This Assyrian province won’t be purely Assyrian but will include other ethnic groups and religions as it will be based in the geographical land subtended between the Tigris and the Upper Zab rivers. There is nothing unpatriotic to shy away from this and certainly will not annul state nationalism talked by most Assyrian party bosses. This Assyrian province is well documented and is meant slashing part of Nineveh and part of Dohuk provinces. The current development in the Assyrian heartland proved the urgency of having a province of our own. The security is bad and should the security status worsen then we have to arm our youths to protect and defend our towns and villages paid by our people in the Diaspora if the state can not shoulder responsibility. This Assyrian province is the nucleus for our existence to rebuild our lives, replenish the land and in that way we can live free in our heartland; build a great society and advance a bright future for our children. In our province in the Assyrian heartland we will undo the demographic changes, regain the land confiscated and stop building in farmlands; our exiled people beyond the borders can return and those faraway can return in the future because by then they will have had enough from a second or third class status under the pagan west. As you may know, Iraqis living in eleven countries around the world will now be able to vote in Out-of-Country Voting program for the Iraqi National Assembly Election in the International Organization for Migration (IOM). Out-of Country Election is scheduled to take place on January 28 - 30th. The registration for this election is scheduled for January 17- 24, 2005. There will be two registration and polling places in the greater Chicago. International Organization for Migration (IOM) is seeking for some temporary (two weeks) staff members. If you or any Assyrian you may know has interest in a two- week employment opportunity for the International Organization for Migration (IOM), please forward your name (and anyone interested), phone number and e-mail address to me ASAP. I will turn in the list by Wednesday, January 5th, at noon to IOM. You will receive a short training, and will work for those two weeks, and will receive roughly $1,300 in compensation for your work. Help our community, help our people back home, and learn something new. I encourage anyone who has time to apply for these positions. Therefore, we would be able to have our people doing the registration and being at the polling places. You do not need to be of Iraqi descent to apply for these positions. You can take part in the Iraqi election by volunteering, working, and voting. The reader is entitled to feel alarmed by the title of this subject. But please bear with me and allow me to continue, and then, you may reach your own conclusion. Hopefully, at the end, you will feel the same awakening and join me to analyze the current status of our Nation. Let us think for a moment and see where were we in the past; where are we at the present, and lastly ask what is the future holding for our beloved Nation? Obviously, you may then ask what is that I, as an individual, can contribute to preserve our heritage? 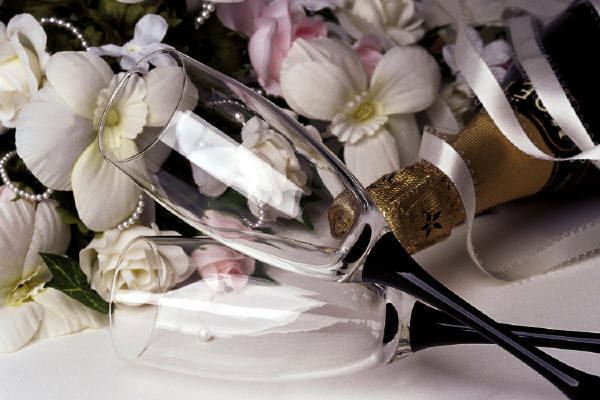 "There is a saying, it goes like this: A constant dripping of water pierces the rock. And the 3000 miles of china’s wall was build by laying the first stone!" Accordingly, it demands a MASTER PLAN to include: A FUND raising project; A Political agenda; An Education institution; A commerce department; A Department of athletic and social activities; and A Red Cross and welfare society. Such M/P should have a long term and a short- term program. Said programs to be prepared by an elected body of qualified men and women from the community, to form a Central-Council with its appropriate departments. 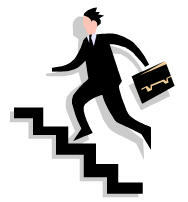 Thereafter they should come up with a solution to illustrate a strategy designed to the order of needs and Priorities. It is ONLY then, a Nation can move forward to achieve its objectives. Let me say it at the outset that: I am not associated or affiliated with any organization. My solemn obligation is to serve constructively and positively to promote the unity of purpose and the prosperity of our beloved nation Assyria, as always I have done since the 1940s. It is regretting to mention that most of our political, social, educational and welfare organizations are operating independently of each other. Please do not misunderstand me, I respect your noble endeavor. It is rather discouraging to see so many organizations with so many different agendas clashing with each other. Perhaps expecting to be the first to win the crown medal of honor from the Assyrian nation! In politics, the only award you get is criticism, complains, and accusations. The disunity of our organizations and the interference of the churches in politics are a major problem. United we should stand and united we shall succeed, Therefore, we must work collectively to uplift our beloved "ASSYRIA" from the current turmoil and lead it to a brighter future, so that to regain its Dignity, to take its place in the civilized communities of the world. The world has recognized the Great Assyrian Empire, and gave it the title of "The Cradle of civilization" for its contributions to the world ". And yet the same civilized world claims that the old Assyrian nation has perished. So far they have succeeded in denying us our existence! We must bear in mind that there is no nation that genuinely wants us to be united and/or succeed in getting recognition. Therefore our unity must be the paramount of our gander. Behold, no one can destroy our Identity. We are the genuine descendants of the Old Great Nation Assyria. Suffice to say that all major museums of the world have looted vast collections of Our Artifacts of the old and the modern. There is sufficient evidence to support the facts that we are the genuine descendants. But, it is unfortunate that the pen has befallen, and still is, in the hands of our enemies. Iraq, (Mesopotamia and/or Bet-Nahrain) is like a carpet of mosaics, stretching from the north to the south and from the east to the west, covered with the treasures of the Assyrian Empire. Whatever it has been looted can not count to a decimal fraction of one percent. When Iraq became an independent country in the 1930s, they proudly produced Iraqi currency "Dinar" it was embossed and beautified with the pictures of the Assyrian historical monuments. And when the Bathie government took over the country in 1960s, they erased all the Assyrian Artifacts from the face of the Iraqi currency and replaced it with the monuments of their industrial achievements. The disunity of our organizations is a major problem. It only works to the hands of our enemies. United we should stand and united we shall succeed. Therefore, we must work collectively, to uplift our beloved Assyria from the current turmoil and lead it to a brighter future so that to regain its Dignity and to take its place in the civilized communities arena of the world. Dear brothers and sisters of our beloved Nation: Assyrian, Chaldeans, Syraic, Jacobites, Marionettes, et-al. I plead with you to come forward, and let us join together in prayers and seek God's mercy, wisdom and guidance. To revive us spiritually and unit us in brotherly love and respect towards each other; and let us work together to rescue what is left of our heritage, culture, language and traditions. Always remembering that it is our sacred duty and solemn responsibility to preserve and pass the Baton onto our children and their future generations. We MUST always remind ourselves of our martyrs, the up rooting and genocide, of our people during the twentieth century. And the constant up rising against our people in Iraq and Turkey; where it has resulted in eradication of our historic churches and monuments, villages, schools and farmlands; and confiscation of the best parts of our land. .
. A Nation can only succeed when it has a determination, the unity of purpose, devotion, trust and respect towards each other. And above all to trust and submit to God and seek His wisdom and guidance. The important element of success in such matters is, to put the priorities in order; and never involve the personality with the duty. We must stop depending on others to come to our rescue. If we do not help ourselves as a nation, there is no one nation that would like to help us to get united and gain recognition, unless we achieve that unity among ourselves. I have prepared a draft proposition, illustrating the need to establish an Assyrian American Foundation to preserve our heritage, culture, language, traditions, and the artifacts…Also to help our needy at home and extend a helping hand to our brethren abroad. This concept is a None Political, None Religious, and None-Profit organization. Yet it invites all segments of our people to participate. It will create a golden opportunity for our learned men and women to embrace the challenge. 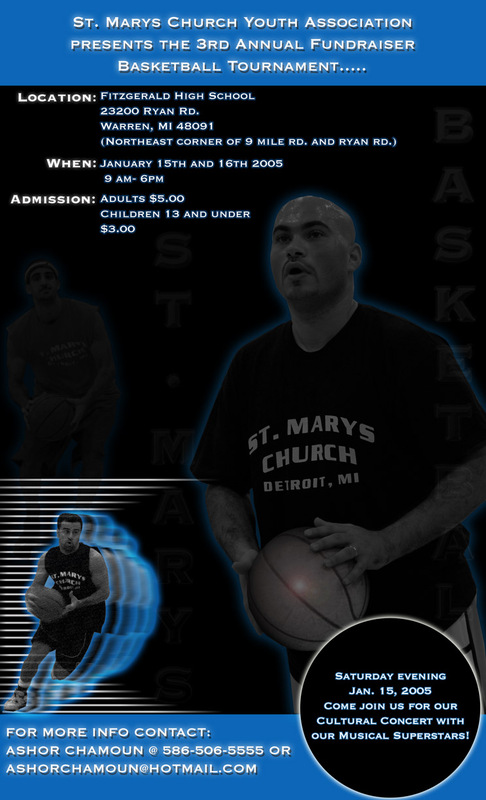 It will be mailed out to all organizations upon request. Furthermore, another proposition was introduced in May 1999. Subject: to establish an Assyrian American Community Chamber of Commerce, Nationwide. This is a Golden Gate of opportunities for the financial prosperity of our people. Basic information can be obtained through my e-mail:" weldenterprises@msn.com"
It is this writer's opinion that, we must wake up and look at the reality, our nation and its land has been brought to zero level. There are no ifs and buts. If we do not change our attitude and open a new united chapter in our History, very soon we shall disappear into the melting pot of the world. And this time our Nation is in real danger as our enemy wants us to be eradicated.
" Let us remember the golden words of the famous Assyrian writer the late Gibran Khalil Gibran, the same words that were borrowed by the late President J. F. Kennedy, saying: "Ask not what your country can do for you; ask what you can do for your country!" Here befits a story: it goes like this - It is said that in the days when the Israelites were led by Mosses through the desert. Friends of his brother Aaron, asked him to ask Mosses, when he goes to the mountain and talks with God, to ask for a favor about the future of one of their neighbors. ‘Saying that he is a religious and respectable person and a hard worker, yet he has hard time to make a decent living like us " One day Mosses asks God if he could help this person. God says to Mosses: I have given him his lot same as the others, if he can’t take care of himself, what else you want me to do. Mosses said, I need to give an answer to these people. God says all right, go and gather those people close to that bridge across the water canal and wait there and see what will happen. So Mosses goes and gathers those people and takes them to that bridge and tells them to wait and watch what may happen. While they were waiting, suddenly that person arrives and saying, you know I have been thinking about the blind people how can they cross this narrow bridge. I am going to close my eyes and try it while you are here to witness. As this person started crossing over the wooden bridge, suddenly there appeared a sack of gold in the middle of that bridge. As the person was crossing he stepped over the sack and misses it and reached the other end. Then God whispers in the ear of Mosses - saying did you see what this fool did. I told you, I have given him the same but if he doesn’t realize his blessings what else I have to do. It is up to him! Indeed it is up to us. We must stop depending on others to come to our rescue. My dear friends, God has given us His Blessings: And the three precious gifts: the gifts of wisdom, talent, and commonsense. We can see these blessings activated in some of our people. When it comes to get involved in our Nation’s affairs we pull in different directions each claims the leadership. A nation can succeed when there is the unity of purpose, devotion, trust and respect towards each other; and above all to have a studied MASTER-PLAN with a long term planning coupled with an agenda of the fundamental needs and priorities. Accordingly a Financial planning and projection should be made as a part and parcel of the Master Plan. No one can destroy Our Identity. We need to admit that the enemy is from within us; then we should accept our past and present mistakes. Our leaders in the past and the present could not separate the religion influence from their political destiny to enable them to move forward. Great britain separated the church from politics in the seventeen century. And their archbishop is appointed by the parliament. United states of america has done the same: separated the church from politics! Do you see where is our major problem? Don’t you agree that it is time that we should do the same? At the same time we can remain loyal and faithful to our churches’ membership. The churches have a solemn responsibility to take an active and convincing role to separate the church direct involvement in the nation’s politics. At the same time the political leadership should maintain a respectable and an understanding dialog to call upon the church leadership for help when it becomes necessary. Ultimately, the political organizations and the churches are two separate entities serving the same body of people. Our leaders have always put their/or our trust in the hands of a few low level foreign individual agents; believing that because their country’s religion is Christians, therefore such acquaintance could be trusted; and in most cases it turns out to the detriment of our objective. Do our self-imposed leaders have any answers to the tragic destruction of our Homeland in the north of Iraq? Has there been any specific public mention in the media and /or official communication with those countries involved in the Assyrian catastrophe. It is imperative to bear in mind that the recent tragedy did not start after the Gulf war. It was already in progress from the days of Abdul Salam Arif and the Baaties Party in the early 1960’s. The destruction continued systematically throughout those past years; and in recent years by, the so called our friends, the Kurds. Super powers have been sitting on the fance watching or photographing the killings and the destruction of our historic churches, monuments, schools, homes, and villages for the past forty years. And as a result, our people became homeless living in the open hills at the mercy of our enemy: the Kurds. By the way, since 1991 up to this day several millions of U.S. dollars were given each year to the people in the north, especially from the funds of oil for food. Can anyone tell us what was the share given to the Assyrians in the north? They have hardly survived on the fragments left over by the kurds. Has any organization ever complained to the givers of such funds or mentioned in any TV. programs, or the News media? If ADM was and still is involved in the North, can they tell us what was the share for the Assyrians? Therefore, once again it is this writer’s opinion, that the most contagious fragmentation seed of "divide and rule " was spread in the minds of our people in the past, and it is still very active in the present days as a dangerous cancer across the board among our old and young, even within the families. We must ask overselves why we are at each other’s throat. Please STOP for a moment and think! I call upon you Dear fellow Assyrians in the Name of GOD and Our Heritage, wake up and face the reality; we have no one to blame except ourselves. Our nation has been brought to the zero level, there are no ifs and buts. If we do not change our attitude and roll up our sleeves, and open a new chapter in our History; We shall be held responsible by our children and the future generation. We shall disappear in the melting pot of the world. This time, our Nation is in real danger, as our enemy wants us to be eradicated. Please read from the Bible: Issaia: chapter 19 – verses 23 to 25 and you can see that God has Chosen three people: Egyptian, Athour, and Israelites. Out of the whole world God chose the three and Athour is in the second place. What a better example than the Olympic games: all nations participate yet only THREE medals are given – Gold – Silver and Bronze. Is there any more proof necessary. "Let us remember the golden words of the Philosopher Gebran Khalil Gebran". The strategy to split the nation was cleverly created in year 1990, when for the first time the slashes were introduced, dividing the nation into three groups: Assyria/Chaldeans/Syriac. The hidden agenda was well planned by our brethren, of the Chaldean Bishops: Sarhad Jammo and Ibrahim Ibrahim, and subsidized by the influence of the Saddam Hussain’s funding. Also was innocently supported by some of our learned individuals. The Bishops were anticipating that in due time to get recognition as an authentic entity. But they did not succeed. Recently the three Bishops: Sarhad Jammo, and Ibrahim Ibrahim, from the Roman Catholic Church, and Bishop Bawai Soro of the Church of the East, and Younadam Kanna of the ADM introduced a conjoint name of ChaldoAssyrian just to get the Chaldean Name on the record, so that later on at an appropriate time the Chaldeans will play another role to disconnect their Name from ChaldoAssyrian and demand to become independent! The question arises: His Grace Mar Dinkha, the Patriarch of the Church of the East has publicly proclaims that he is an Assyrian and the Church of the East is the Assyrian Church of the East. And yet Bishop Soro gets involved in supporting the EMPTY conjoint Name! The foursome are ignoring the fact that The majority of our Chaldean brethren are against the conjoint Name. They would rather remain Chaldeans. Furthermore, the letter from His Grace the Patriarch Mar. Delly; and a separate letter signed by the nineteen Chaldean Bishops were addressed to the U.S representative in Iraq Mr. Paul Bremen demanding to be recognized solely by their Chaldean Name as an ethnic entity. In both cases the request was denied! Then, how come, that we should accept for the second time such a trick suggested by the three Bishops; and supported by the Kurds. (The Kurds are using the old British rule of divide and rule). Please wake up and face the reality. Let it be known that The Iraqi Moslems, Shi'ai and Sunni, all know us by our authentic Name "Ashooreen", which is the original Name bestowed upon us by God. And the Chaldeans are known by the name Telkaffy. Telkaff is a small town in Mosul, north of Iraq. Finally, here is another story (I was present at the discussion, it took place in 1944). An Indian Officer is asking a British Officer: What is the population of United Kingdom, and what is the mileage between U.K and India. The British Officer replies: the population is forty millions and the distance is approximately three thousand miles. Then the Indian officer asks: how come you are forty millions and three thousand miles far away from India, that you have conquered my Country India of four hundred million population and three thousand miles away from us? The British Officer replies: We support our Country’s interest first, and our religion takes the second place, But you Indians, you put your religions first and your country’s interest in the second place. If you can change these positions, you too can regain your independence. It was Mahatma Ghandi who did that and regained the independence of India. "Dose this give us an example"? We need to have an Assyrian Mahatma Ghandi! Long Live Assyria! (ZNDA: Sodertalje) Swedish football team Assyriska is a household name for Assyrians around the world. So when it played for a spot in Sweden’s premier division, Ninos Gawrieh and some 30 friends huddled around a television in a house in the Syrian town of Qamishly, cheering it on. Thousands of other people around the world were also watching the game, hoping that the team would cap its 30-year history with promotion and a hint of glory for the scattered minority whose name it carries, the Assyrians. “Assyriska feels like a national team for the entire group,” said club chairman Zeki Bisso. “For all of us who were oppressed in our home countries for many years ... this felt superb, it was something every Assyrian wanted to take pride in". A Christian minority from the historical region of Mesopotamia between the rivers Euphrates and Tigris in the Middle East, the Assyrians have never had a state of their own, living mainly in Syria, Iraq and Turkey. They say hundreds of thousands of their forebears were killed in the Turkish Ottoman Empire during World War One, alongside 1.5 million Armenians and other Christian minorities. Turkey denies accusations of genocide. Assyrians have spread across the globe since, although many still live in Iraq and Syria. Researchers say the current number is unclear, possibly between one and two million. “There has been quite a lot of confusion and loss of identity, which makes this football club something that is finally positive and uniting,” said David Gaunt, a history professor at Sodertorn University College in Stockholm. Assyriska was formed in 1974 as part of a club for a growing number of Assyrians who had moved to Sodertalje in central Sweden. It has come a long way from the 1975 season when it failed to notch up a single point in the country’s seventh division and was outscored by 101 goals to 11. It clinched its premier league place after a nail-biting season, which finished with a twist. Assyriska lost its chance for a top spot when rivals Orgryte scored a winning goal in extra time in the second of two legs of a play-off. “Everybody was so depressed, they were crying. They reacted even stronger than me, and I come from here!” said Gawrieh, a Sodertalje resident who was visiting Qamishly at the time of the Orgryte match. A day later, the Swedish Football Association gave Assyriska a premier league place after all when it relegated another top division club, Orebro, because of poor finances. “At that moment we just felt such enormous joy, I figured everybody in the world is Assyrian now, even God is Assyrian, or at least a supporter,” said Robil Haidari, the club’s marketing director. Assyrians around the world can follow Assyriska’s games on the newly established satellite television channel, Suroyo-tv, which broadcast the Orgryte matches to 82 countries, including North America. Busloads of fans from Belgium, Germany and the Netherlands attended the game. “Assyriska is very well known and adored by Assyrian fans throughout the United States and Canada,” Firas Jatou, an Assyrian living in California, told Reuters by e-mail. “Here on the west coast, it would be very difficult to find any Assyrian American who is not aware of Assyriska,” he added. Assyriska will get no free ride in the 2005 premier league season, which kicks off in April. “My bet is they’ll end in the 10th spot (of 14). Anything higher is unrealistic,” said Jan Majlard, soccer reporter and commentator at the Swedish daily Svenska Dagbladet. “They already have the technical skills, now they need to develop the physical side. It seems that Assyriska will be the team to follow this season and it will be fun to see if they are able to keep their playfulness and bohemian style,” he added.